Egypt Equine Aid (EEA) is a registered Australian charity created in July 2014. We operate a free equine veterinary clinic for local working animals in Cairo, Egypt. We take in sick & injured horses & donkeys, treat them & educate their owners about better animal husbandry, so they can live pain-free lives again. 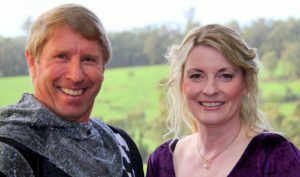 Founders Jill and Warren Barton had long been involved with animal rescue and rehabilitation when they decided to volunteer in December 2013 to assist a small horse and donkey rescue in Cairo. The plight of the horses and donkeys in Egypt affected them both greatly, and they realized that many of the horses were the descendants of Australian “war horses” left behind after WWI. After returning home, they quickly decided they couldn’t ignore the situation in Egypt. They had to do something about it by putting their life in Australia aside and return to Egypt to help. So they sold their family home plus almost everything they had, moved to Abu Sir in Cairo, and established EEA. 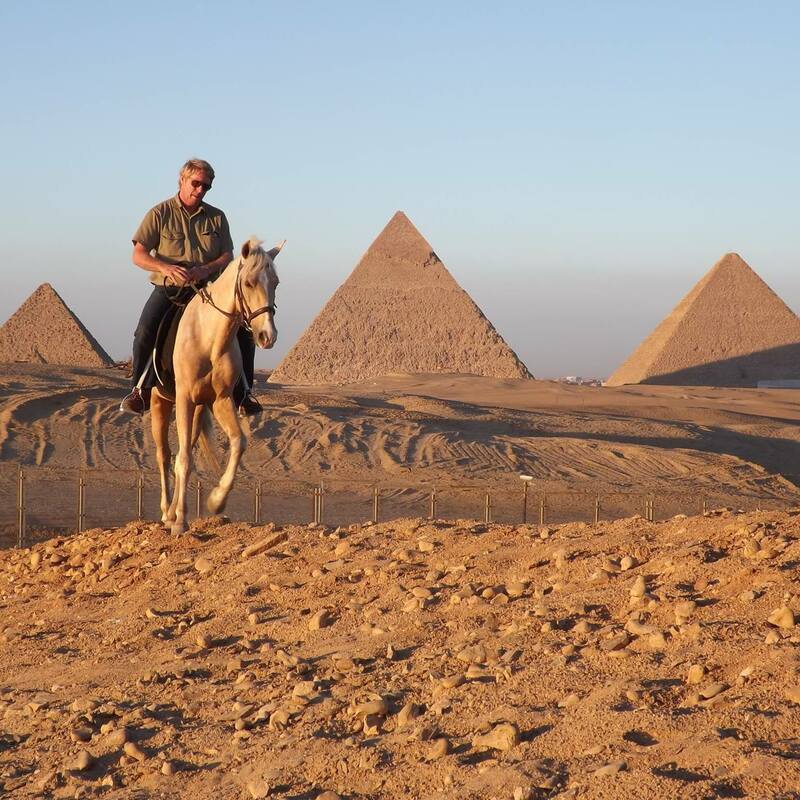 Our name, Egypt Equine Aid, means that we are here to help the horses, donkeys, and mules of Egypt. We have also adopted the motto “Lest we forget” because some of the horses in Egypt are descendants of Australia’s very own war horses. It is fitting that our mission began in July 2014, the 100th anniversary of the start of the First World War. Nearly 10,000 horses were left behind in Egypt after the war, many exhibiting the outstanding qualities found in Australia’s Waler horses, can still be seen in the horses living in Egypt today. We never want to forget the equines of the Pyramids that are living and working in one of the harshest environments in the world. 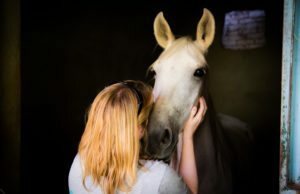 (3) educating owners in the care of their animals and also encouraging kindness and compassion toward animals by educating children and young adults. We regularly host school groups of all ages whenever possible and encourage the students to participate in clinic activities and to interact with all of the EEA animals. Teaching kindness to children and young people and having them observe EEA’s work will help to train future generations in the humane treatment of all animals. In addition, an important aspect of our education outreach is offering practical experience to local veterinary college students, who do most of their learning in classrooms and desperately need hands-on training. Most Egyptian vet students leave school with little experience in dealing with live animals. Visits to EEA by vet students are very rewarding, both for the students and for EEA staff. We are located in Abu Sir, a rural site between Giza and Saqqara, northern Egypt, where three 5th-dynasty kings built their pyramids (map). Abu Sir has many farms and other properties, and there are lots of local families with working equines. The population is poor, and many people live from hand to mouth. Their animals desperately need good veterinary care, but there are not many well-trained and well-qualified veterinarians in the area. Moreover, most of these local families cannot afford to pay even a small amount for veterinary care, even if it were available. 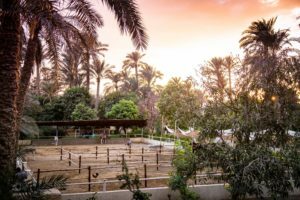 Even more troubling is the critical lack of knowledge on the part of owners about equine care, despite donkeys and horses having been part of life in Cairo for a very long time. Egypt Equine Aid was established to address these problems. We regularly hand out equipment such as nosebands, fly masks, halters, humane bits, and harness pads and explain how those items help animals stay injury-free and healthy, thereby protecting the investment farmers have made in their animals.